Merry Christmas from the Real Living Team! 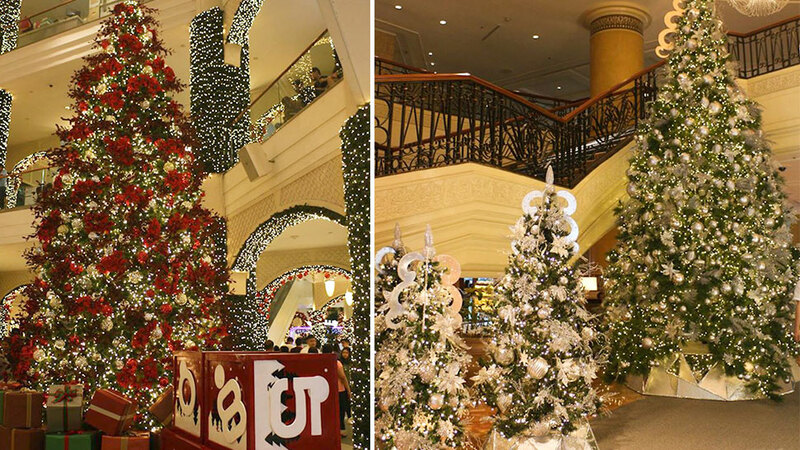 We can't deny the love we have for Christmas trees. Aside from being a symbol of the season, it's a constant in all homes—whether it's tall, short, green, white, or even pink! To celebrate the season, we've rounded up some of the Christmas trees that have gone up around the Metro. Use these as pegs for your next holiday decorations or as sources of delight as we end what has been a trying year. As the song goes, “no one alive spreads cheer so well” as a Christmas tree! Some of the most stunning trees went the classic route of red, green, and gold. Of course the balls took center stage. Solaire Resort and Casino showcased its pretty tree with a playful combo of lively colors.